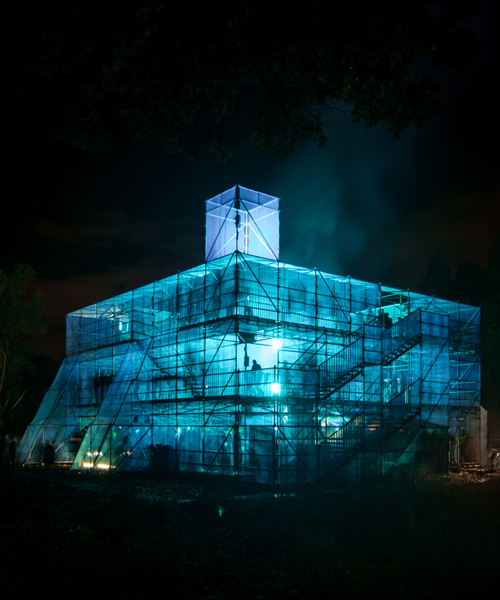 assemble is a collective based in london that works across the fields of art, architecture, and design. 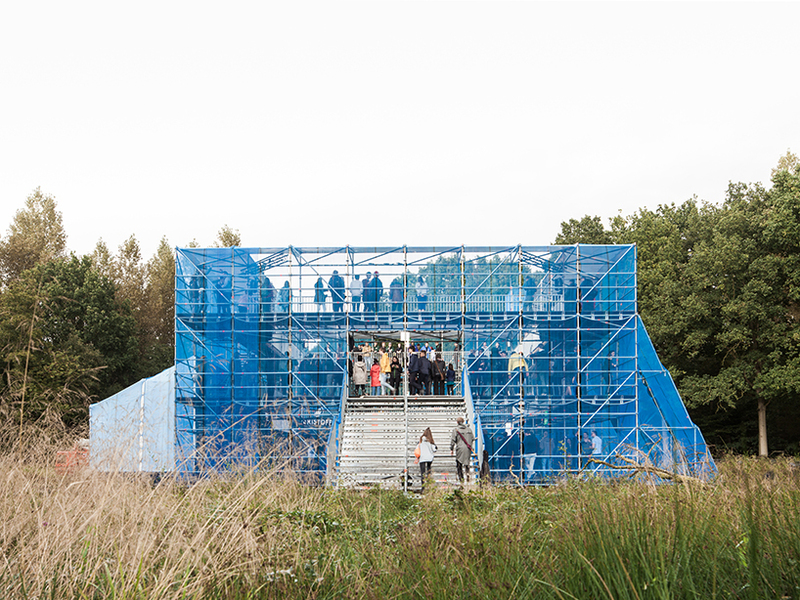 comprised of 18 individuals, the firm's members began working together in 2010. assemble's working practice seeks to address the typical disconnection between the public and the process by which places are made. 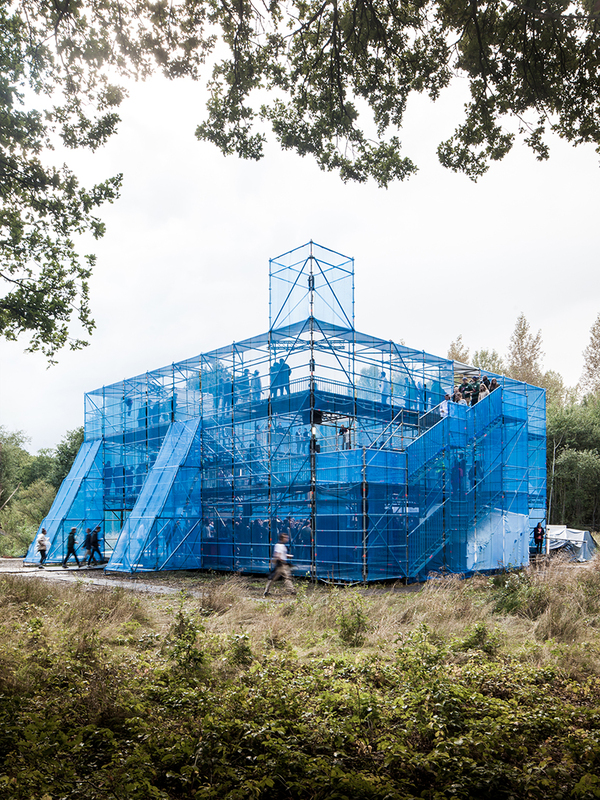 assemble studio presents ‘newcastle’ for this year’s edition of horst17, titled ‘spaces & places,’ in holsbeek, belgium. 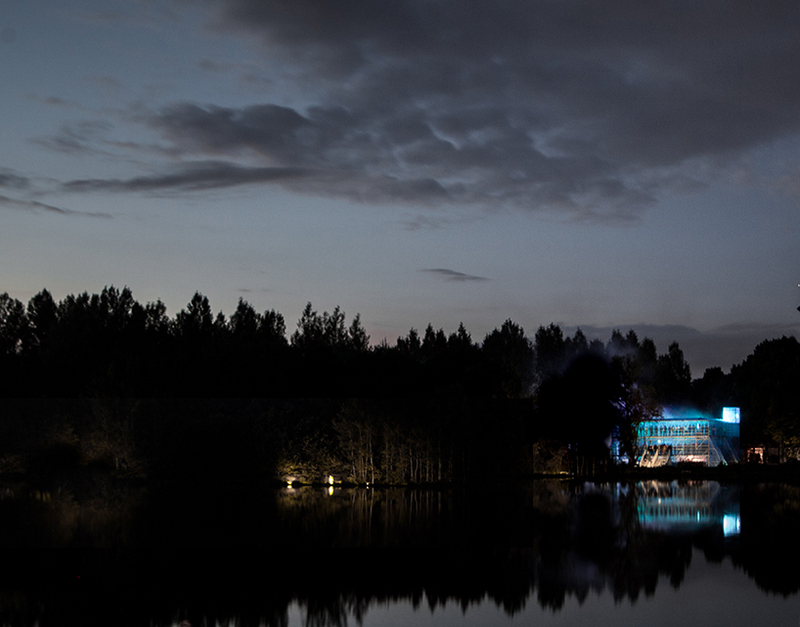 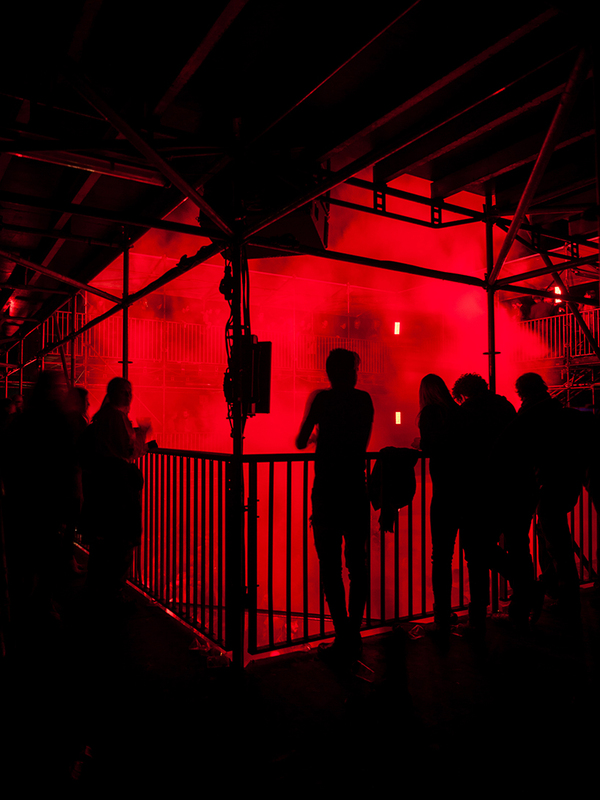 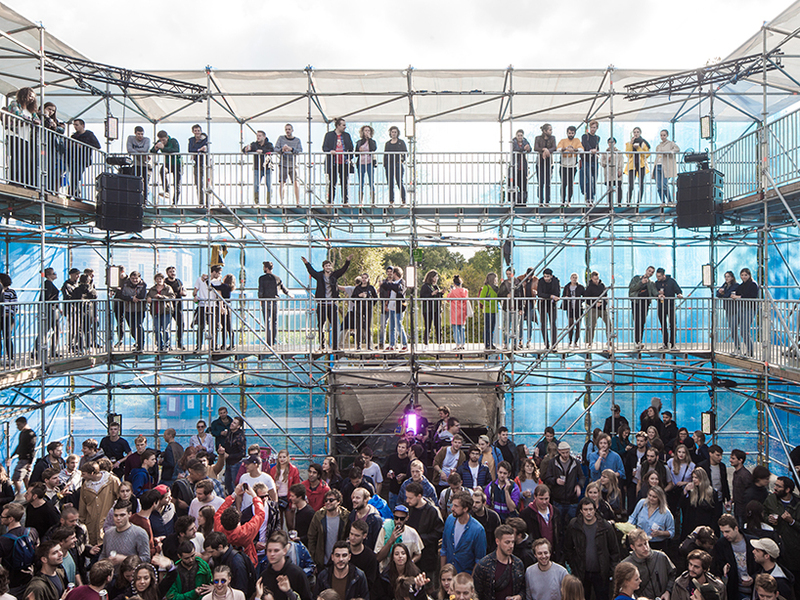 each year, on the grounds of horst castle, an artistic dialogue is created by intersecting in-situ visual arts with contemporary, electronic music. 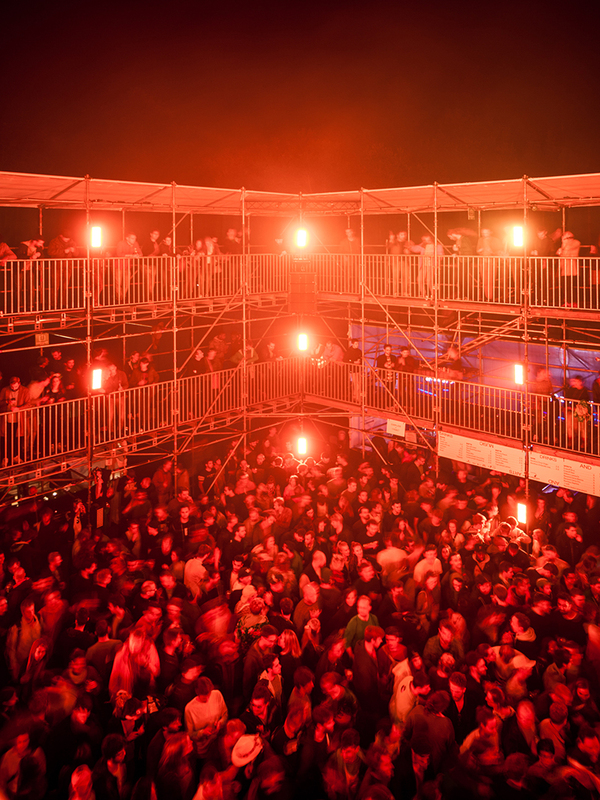 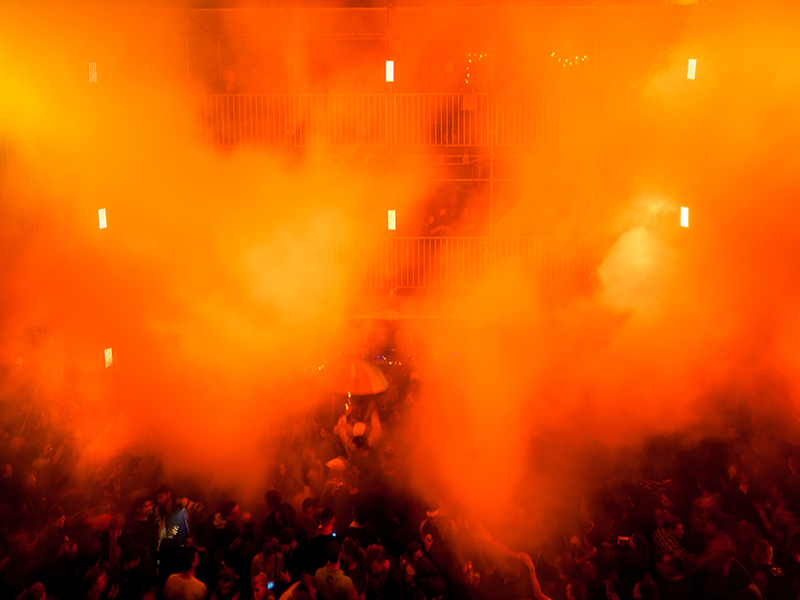 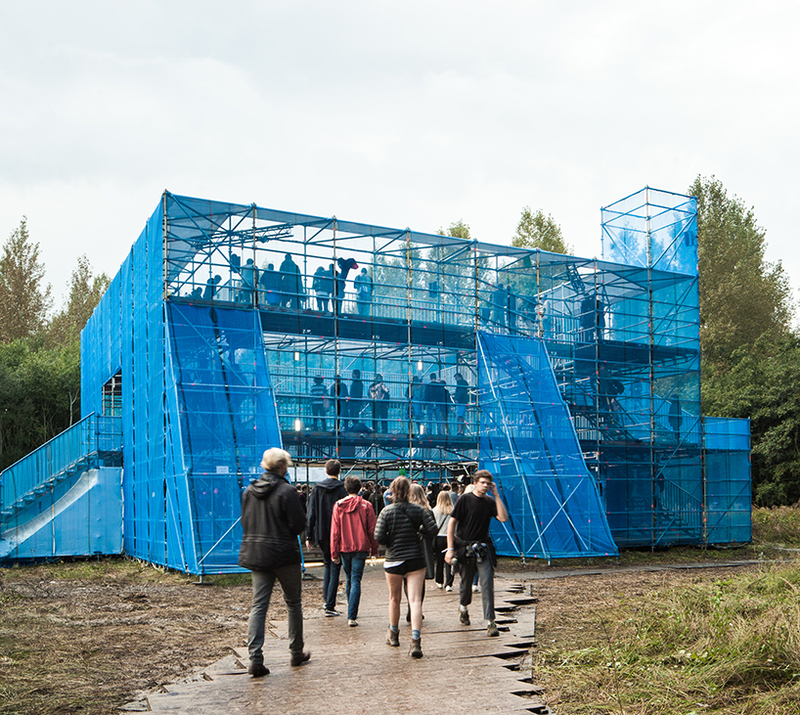 through their design, the selected artist or architect redefines and reinterprets the concept of a musical stage. 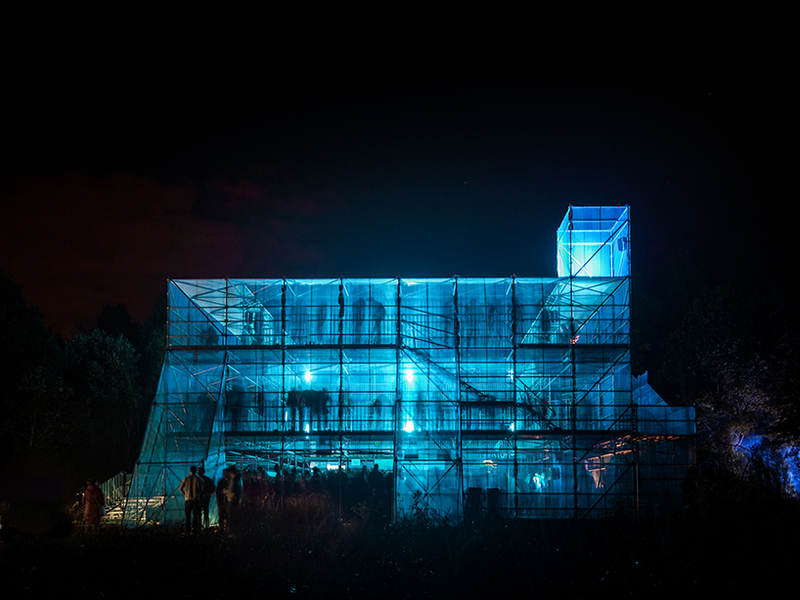 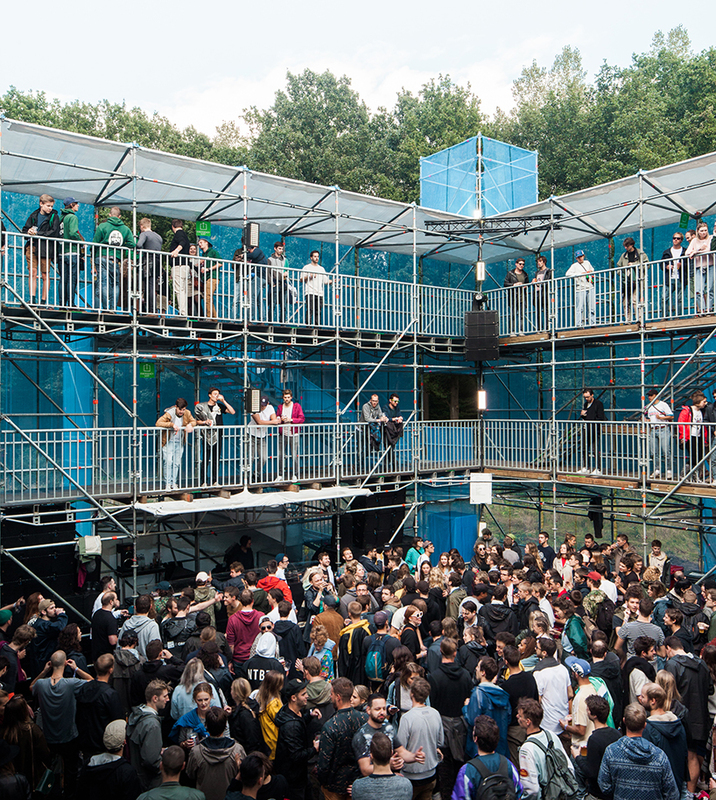 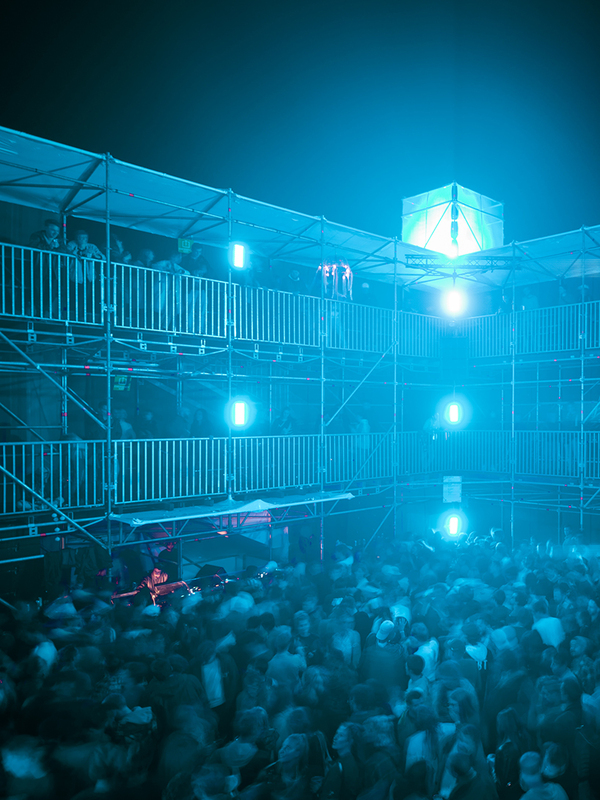 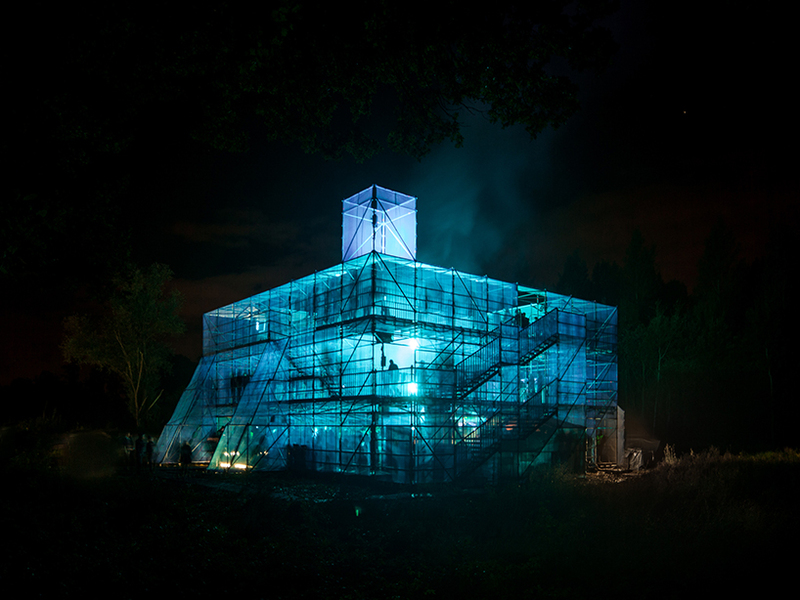 this year, the london-based collective, assemble, has created a scaffold and blue netting theater pavilion in dialogue with the neighboring historic castle.